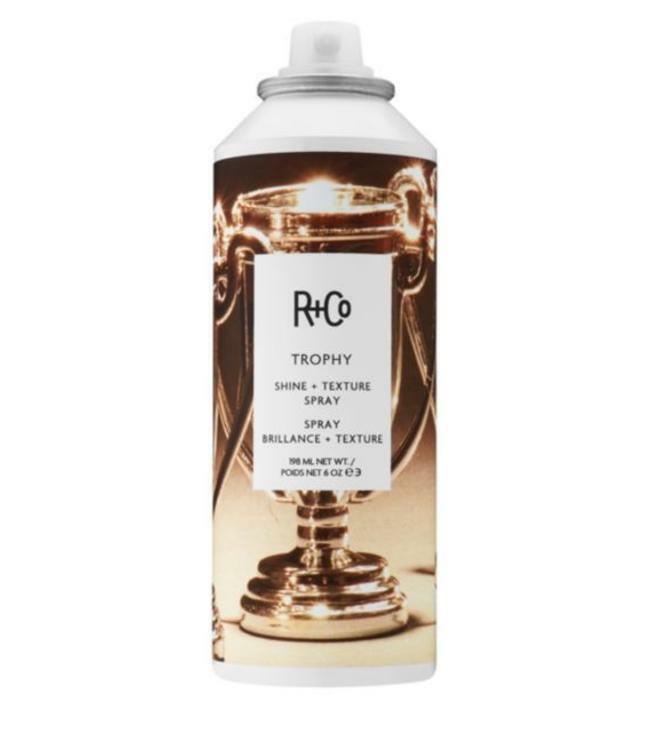 The perfect “selfie hair spray”, TROPHY Shine + Texture Spray adds slight texture, dry shine, and flexible hold to hair for overall perfecting, instead of just a hairspray for hold. Fuller’s Earth, naturally occurring clay that removes excess oil and impurities from hair. Sea Kale, infuses hair with intense moisture and shine. Sweet Almond, a natural oil that adds shine and moisture without weighing hair down. High in vitamins A, B, D, and E, magnesium, zinc, potassium as well as healthy fats. How To Use It: Shake well. Spray on towel dried or dry hair and style. Hair looks naturally radiant almost instantly.